Welcome to ICM Case Summaries! Writing ten expanded case summaries is a requirement of the CCT in Intensive Care Medicine training program for doctors in the UK. These summaries are usually the result of hours of work collecting, synthesising and distilling the most up-to-date evidence on specific clinical questions relevant to intensive care practice in the UK. For most of us though, once they are completed they just sit on our hard drives gathering e-dust. Our aim is to release the untapped potential of these resources and create an online repository of ICM expanded case summaries. As ICM Case Summaries grows it will form a continuously expanding and updating free online educational resource for intensive care medicine professionals. Please see our FAQ page for users, contributors and ICM Consultants and Tutors addressing questions about protecting patient confidentiality, content control (including plagiarism) and editorial policy. 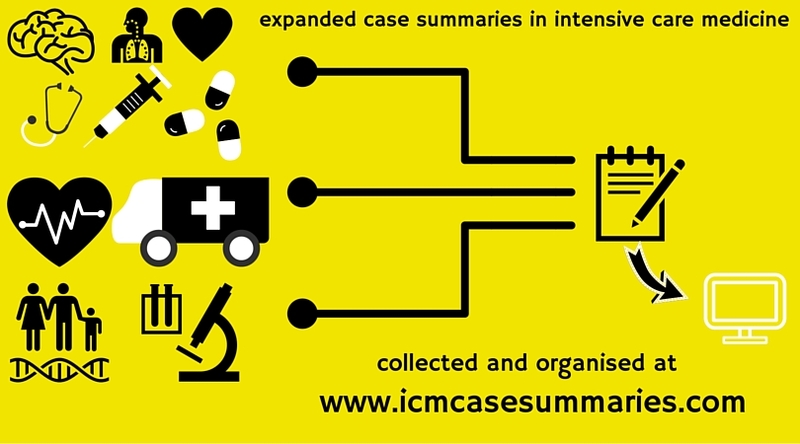 ICM Case Summaries is a collaborative project between intensivists in the Thames Valley/Oxfordshire and Wessex regions. We are closely linked to OXICM and Wessex ICS.